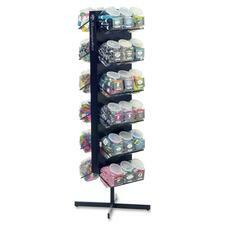 Double-sided display saves space and showcases a variety of products. Using only 24\" x 24\" of floor space, this freestanding rack holds up to 36 tubs (sold separately). Steel construction meets or exceeds standards for RoHS compliance for lead, mercury, bromine, chrome and cadmium. 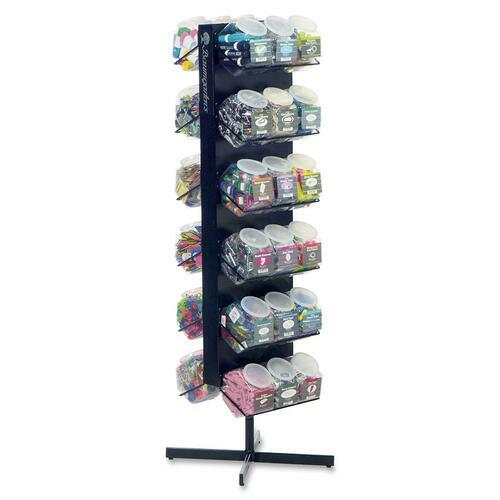 Double-sided display saves space and showcases a variety of products. Using only 24\" x 24\" of floor space, this freestanding rack holds up to 36 tubs (sold separately). Steel construction meets or exceeds standards for RoHS compliance for lead, mercury, bromine, chrome and cadmium.